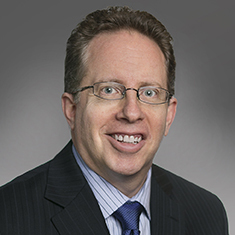 Howard Schickler is co-head of Katten's Structured Finance and Securitization practice. He represents a multitude of participants in the structured finance market, including issuers, underwriters, credit enhancers, lenders and borrowers. With more than 20 years of experience, Howard handles structured finance transactions across a variety of asset classes, including mortgages, home equity loans, auto loans, equipment leases, marketplace loans, credit card receivables, franchise loans, health care receivables, trade receivables and royalties. His practice ranges from debt to equity structures, private to public issuances, warehouse lines to residual financings, and domestic to cross-border transactions involving both existing assets and future flows. Much of Howard's work occurs at the intersection of private equity funds and structured finance and involves assisting private equity funds in securitizing residential mortgage loans, auto loans, equipment leases, marketplace loans and other consumer loans. Over the last couple of years, Howard has focused his practice on the marketplace lending sector, representing funds and other institutional investors in the acquisition of portfolios of consumer loans, commercial loans and merchant cash advances, as well as providing credit facilities to marketplace platforms and other lenders and arranging for leverage on acquired portfolios of these products. His vast corporate finance experience includes work on public offerings, private and subordinate debt offerings, joint ventures, private equity funds, restructurings and workouts. Shown below is a selection of Howard’s engagements.